Customer service is arguably the most important thing for your business to get right. Great customer service can overcome poor marketing, but it's incredibly difficult (and expensive) to replace poor customer service with even the most exceptional, "delightful" marketing. Inbound marketing is customer-focused and inherently aids customer service, but that doesn't mean companies who use it can't still be guilty of bad service experiences. Of course, "good customer service" is often up for interpretation. It's only normal for small mistakes to happen or to encounter customers that are impossible to deal with. These are generally small bumps in the road and don't constitute bad customer service. Companies who are guilty of these bad customer service traits often face negative consequences -- many of which are difficult to overcome and can lead to the company's failure. The good news is that even the worst customer service habits can be corrected without detrimental damage to your brand, assuming you take action quickly. In this article, we are doing to discuss 5 dangerous side effects of bad customer service and what you can do to reverse those damaging effects. Your brand's reputation is incredibly valuable and not something you want to lose control of. However, especially with the internet, your reputation is the first thing to take a hit when you have an extended streak of bad customer service. Customers today are quick to write negative reviews online when they have a bad experience with a company. In addition to leaving critical reviews, customers also vent their frustrations on social media for their friends, family, colleagues, and the entire world to see. In a recent study, 95% of respondents said they usually tell at least one other person about a bad customer experiences with a company, while 54% said they share it with at least 5 other people. Just in case you think people aren't reading reviews or searching for discussions about brands on social media, that same study found 88% of respondents have been influenced by an online review when making a buying decision. What this adds up to is a decrease in overall sales, but more importantly, a major decrease in word of mouth marketing -- arguably the most valuable marketing outlet a brand can have. Have a key figure in your company reach out to those who have received bad customer service to make amends. Responding publicly to negative reviews, accepting responsibility for the wrongdoing, and informing people that you're making strides to permanently solve the issues can do wonders for negative perspectives people may have of your brand. Always, however, make it a point to move this conversation to a private discussion. Don't go back and forth publicly (nothing worse than a Twitter war), because you risk doing more damage than good. After you've reached out to the consumer, based on the negative feedback, address the problems internally. Set a higher standard for customer service and make it a top priority until it's become a permanent fixture in your operations. With this advice, you'll not only be able to improve your reputation in the future, but possibly even win back a few customers who had poor experiences. Bad customer service kills conversions. Although the term customer service implies current customers, all interactions with prospects, leads, and anyone else can fall into this realm. How many times have you reached out to a business and never heard back? How frustrated were you? Now, imagine what your leads are thinking when they request a consultation and never hear back, when they have to wait on hold forever, or when sales reps are slow to respond. "If this is the service I get when they're trying to take my money, how are they going to treat me once they have it?" Customer service departments already have a negative stigma associated with them as a whole, so why not surprise people with a positive experience? Great customer service upfront leaves an awesome first impression and gets leads excited about doing business with your company. If your team doesn't already use a CRM, start using one immediately. Also, make sure to use a "Smarketing" strategy that aligns marketing and sales goals. Having this makes it easier for sales reps to deliver the best customer service, while also using marketing to deliver more value to leads before they interact with sales reps.
By now you're aware that acquiring new customers is usually more expensive than keeping your current customers. That is one of the primary reasons delivering great customer service is so important. Did you know 9 out of 10 customers say they're willing to pay more to ensure a good customer experience and as much as 70% will continue to do business with you if you resolve a complaint? While bad customer service can destroy your average customer lifetime value, putting more strain on your marketing budget to attract more customers, good customer service can actually save these relationships. Develop a customer retention strategy that builds brand loyalty. Marketers often get caught up in focusing solely on customer acquisition, when customer retention generally has a higher ROI. 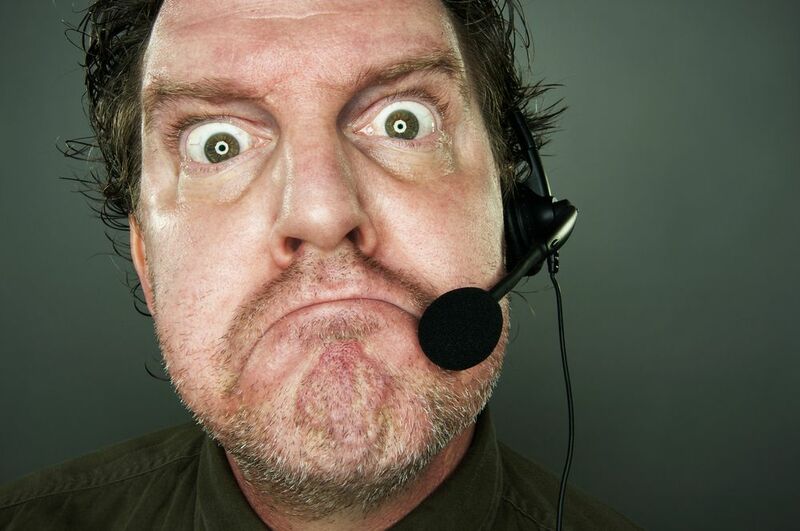 Bad customer service has negative side effects in all areas of business. Not only do you lose customers, but you run the risk of losing your best employees. When your companies has a customer service problem, your best employees are forced to pick up the slack for bad employees. This leads to burnout and dissatisfaction from the people you rely on most. If your company develops a bad reputation, your top performers may also jump ship when they realize things are going south. Reward your best employees and don't keep bad employees around. Great customer service starts with a great company culture. Average employees will perform to the level that's considered "normal" in your company culture. When bad customer service is normal, they don't feel incentivized to improve. However, a company culture where quick, friendly, and professional customer service is expected sets the bar higher for average employees. The positive side effect of a great company culture is that it attracts better employees and gives them a reason to stick around, which ultimately improves all areas of business, including customer service. Bad customer service can also create a downward spiral for profits. First, your reputation gets damaged and you start losing new sales, (especially from referrals), then even your loyal customers start to leave. At this point, you're forced to decide, do you cut costs and try to ride it out or do you double down on marketing to attract new customers? If you cut costs to make up for the lack of revenue, you still have to improve your customer service through training or recruitment, which requires more resources. On the other hand, trying to outspend your poor customer service in marketing might attract new customers, but the problem only gets worse with scale. Address problems with customer service early and often. Regularly survey customers, chat with them when you can, and monitor customer service KPIs. The best way to solve bad customer service is to prevent it, but the second best way is to get it corrected before it gets out of hand.